During your stay in Szeged, besides walking in the centre and marvelling at the Votive Church you should not miss visiting the Szeged Zoo. 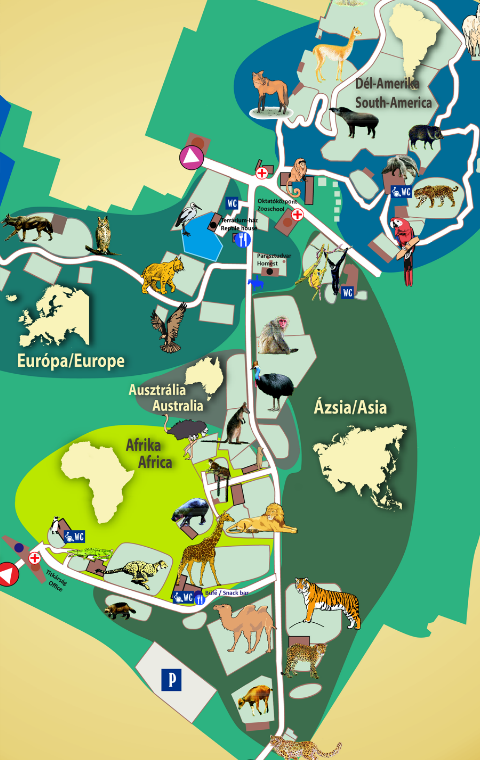 We have worked out an application to guide you around the park. 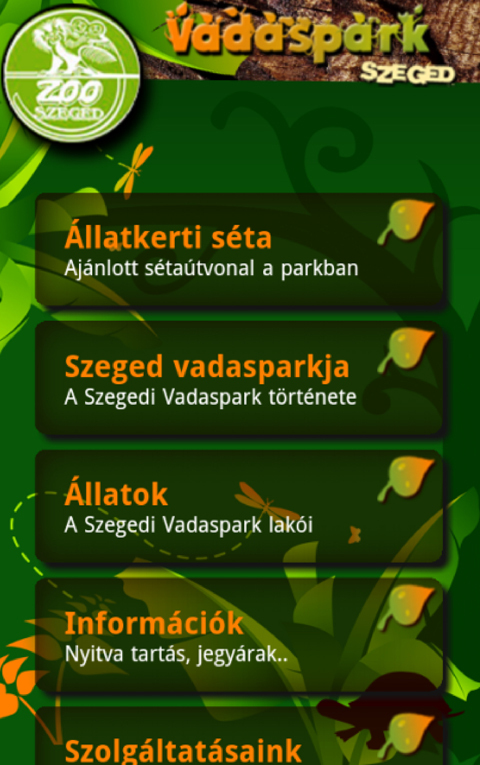 Let’s stroll together in the virtual world of the Szeged Zoo. Get to know the world of animals day by day! 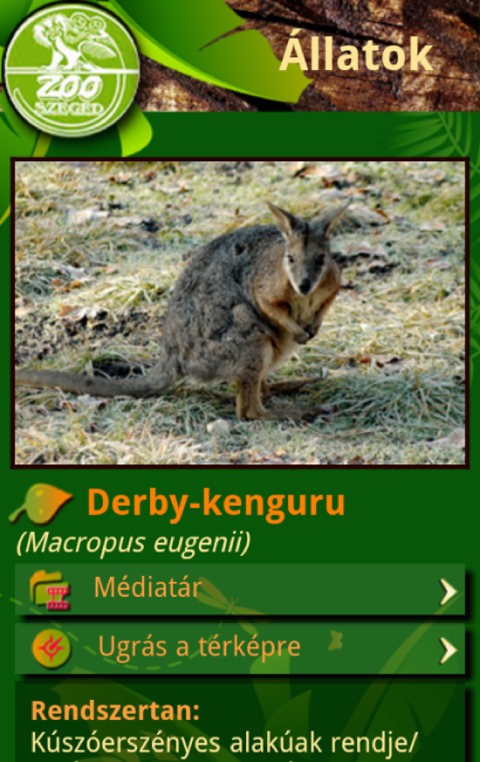 You can easily find the animal names in an alphabetic order, or grouped separately according whether they are mammals, birds, amphibians, reptiles, or vertebral animals. 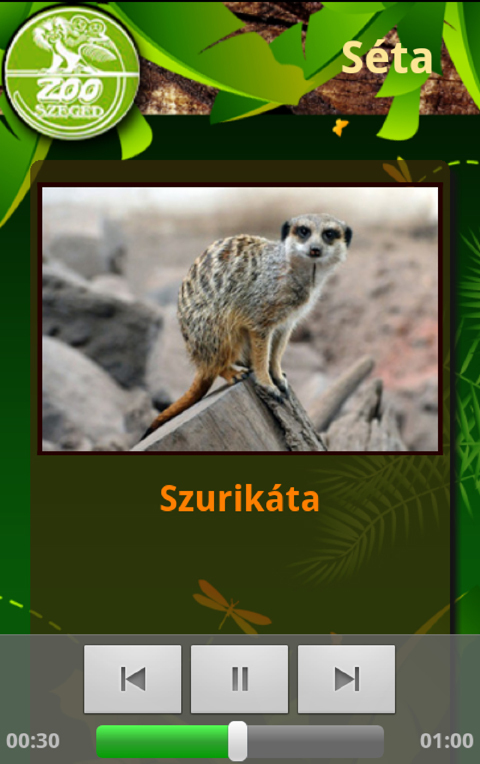 Provided that, instead of reading, you prefer keeping your eyes on the residents of the Zoo while learning about the animals in the apps, you can make a good use of the reading aloud function since by playing the audio files, you can listen to the descriptions of your favourites.